If you bought these items separately it would cost you $3,738.00. By purchasing the complete system you only pay $3,003.00 - a savings of $735.00. 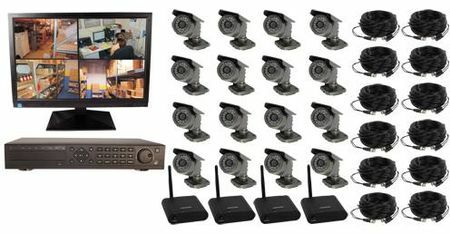 If you would like to create your own system start with our 16 CH DVR and 19" monitor then choose your cameras and cables.